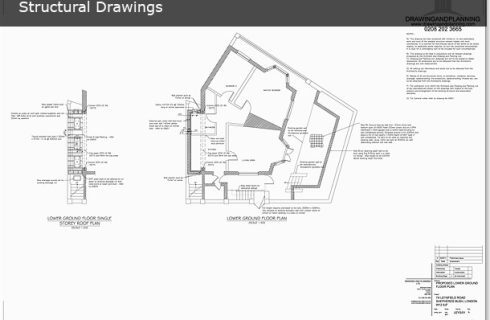 Specialist Glazing Works, Glass Floors, Walls etc. 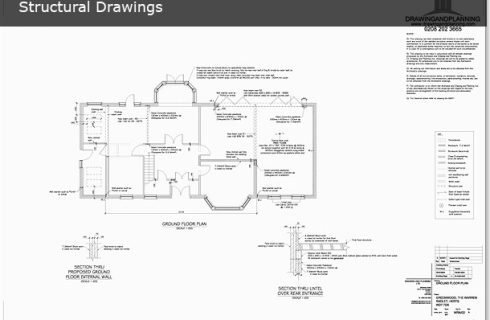 If you require any other service that is not mentioned above, our engineers will be pleased to offer you a quotation. 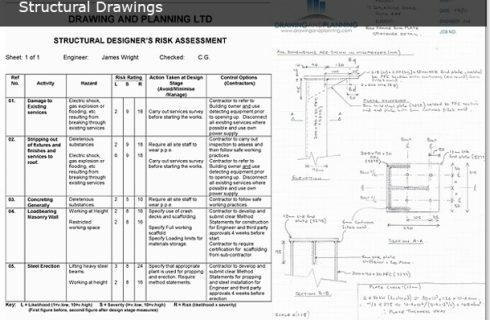 If you have carried out works but not consulted a structural engineer, we would be please to investigate your works and offer you a retrospective structural report, this is usually requested by building control to ensure the Building Regulations have been adhered to. 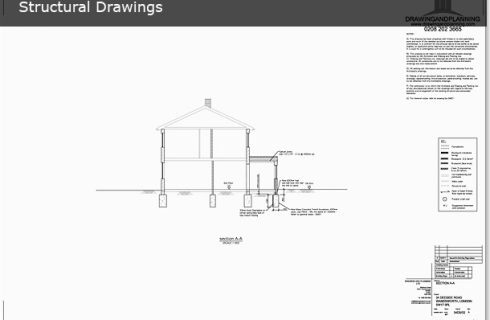 Drawing and Planning Ltd have an in-house team of structural engineers who work to provide the most accurate, clear and reliable structural drawings. 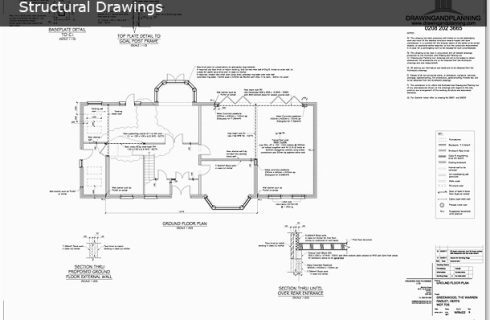 All our engineers are members of ISTRUCTE. 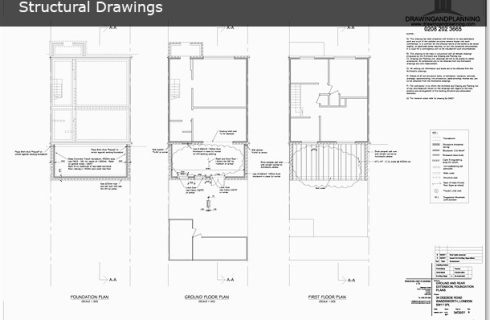 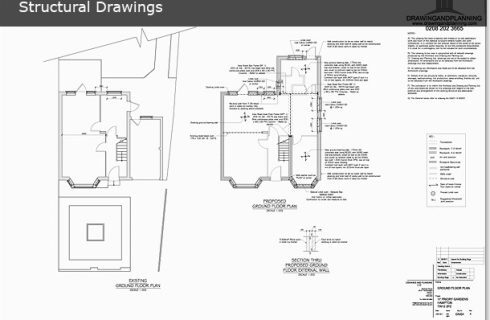 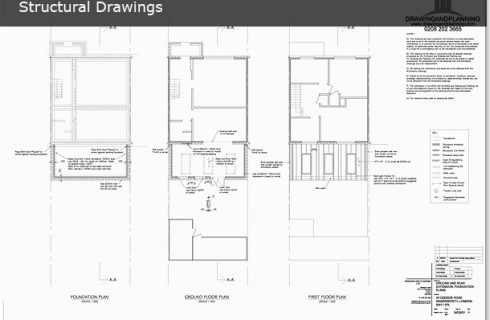 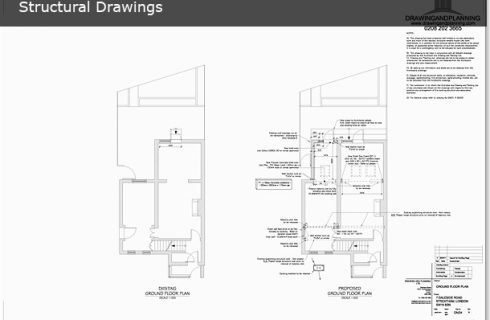 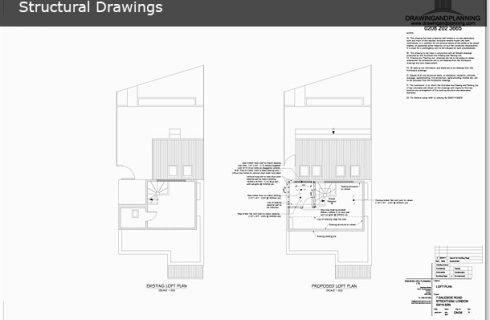 All Structural Works are integrated with the planning drawings we create, to offer you a one stop shop for your entire planning and building regulations process. 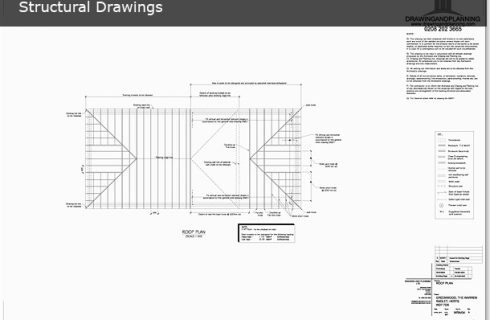 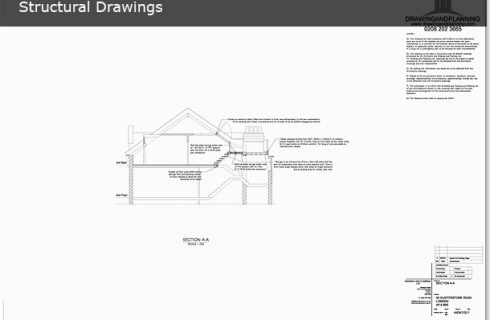 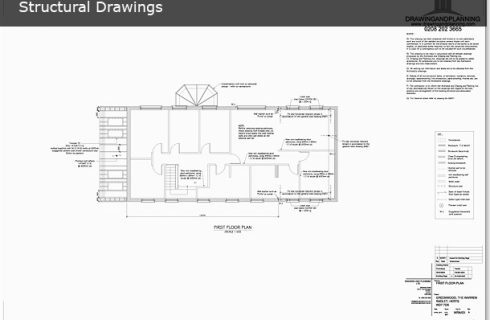 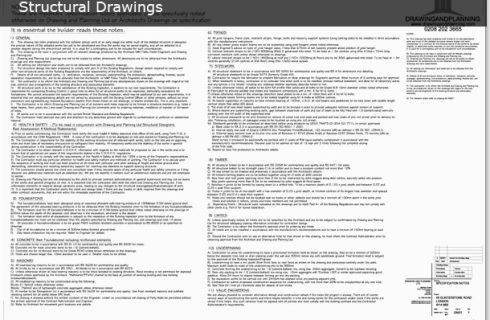 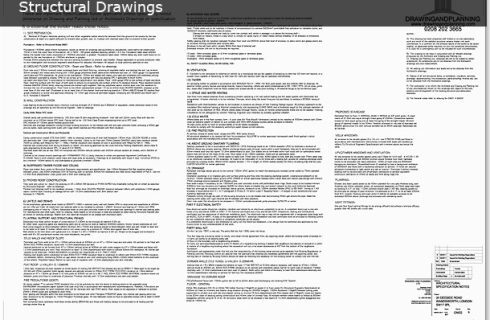 If Drawing and Planning prepare the Drawings we will reduce the charge for Structural Drawings and Building Regulation Approval to - ( Reduced fee + VAT ) + Building Control Fee. 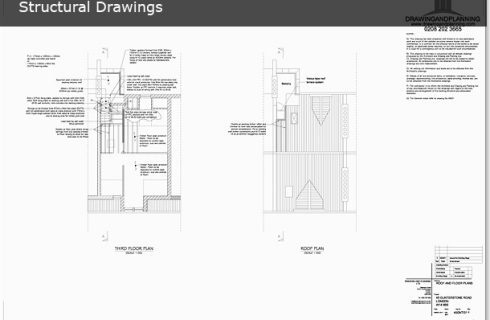 There are a lot of steps that have to be carried out in order to receive approval for planning permissions to construct or alter a building or residence. 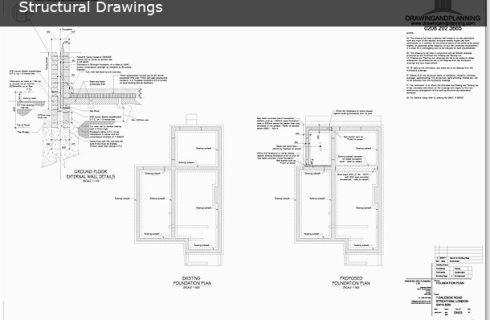 Even though there are some projects that are considered to be permitted developments that donot require planning permissions, a vast majority of construction projects do. 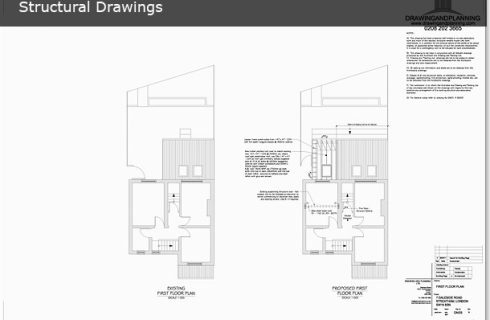 There are four different stages that are involved with filling out an application for planning permissions. 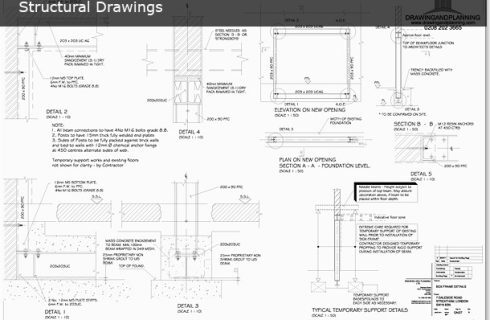 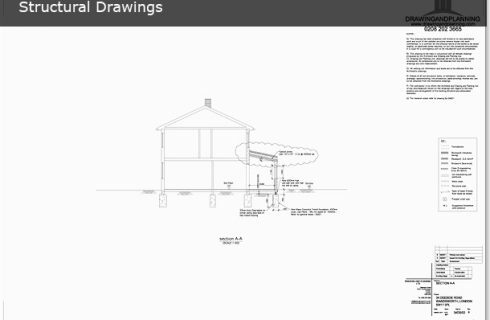 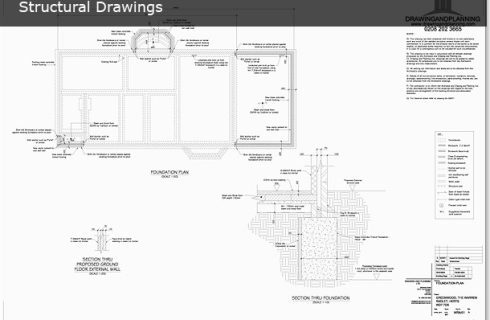 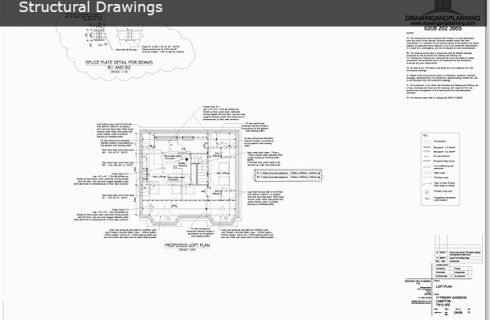 Structural drawings as well as structural calculations.